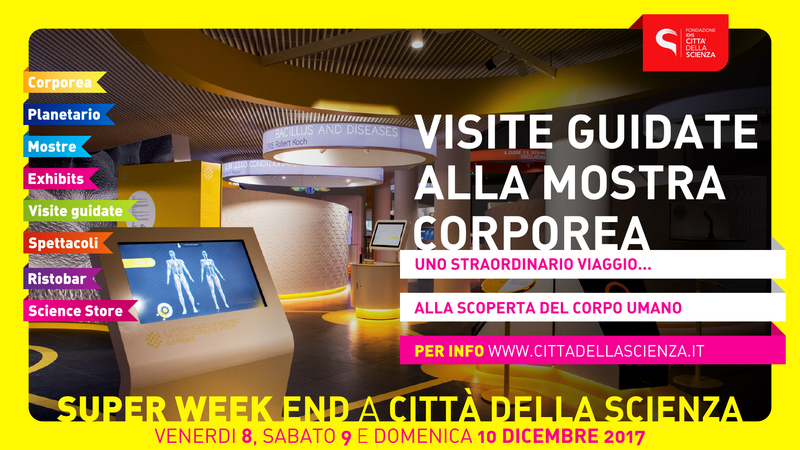 Città della Scienza is ready to open its door in the most beatiful moment of the year: Christmas! 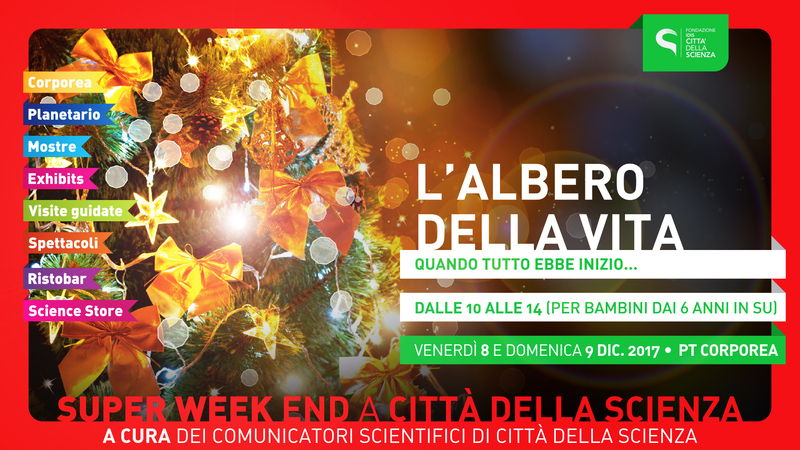 It’s Christmas time at Città della Scienza! 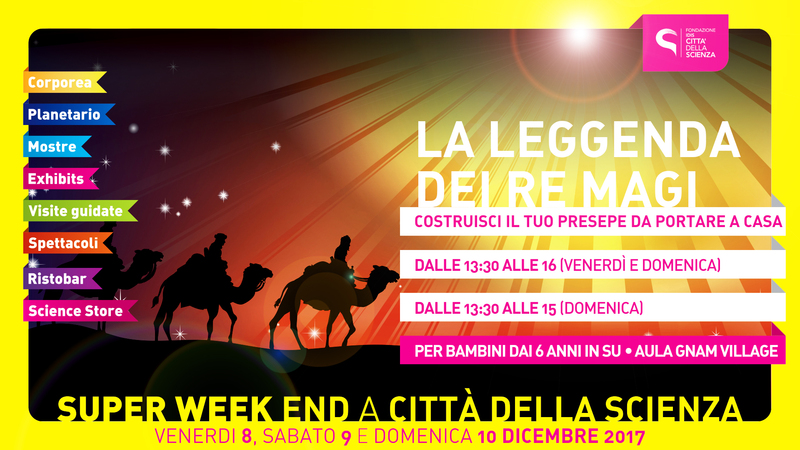 Workshops and fun approaching Christmas celebration. Come and join us to discover a rich program to learn by playing and having fun! The Christmas party is a symbol of new life! Let’s retrace together the stages of the origin of life with the workshop “The tree of life: When it all began …“: from the first cells to the most complex organisms, step by step, weekend after week end, we will decorate our Tree of life with the silhouettes, reproduced in clay by children. 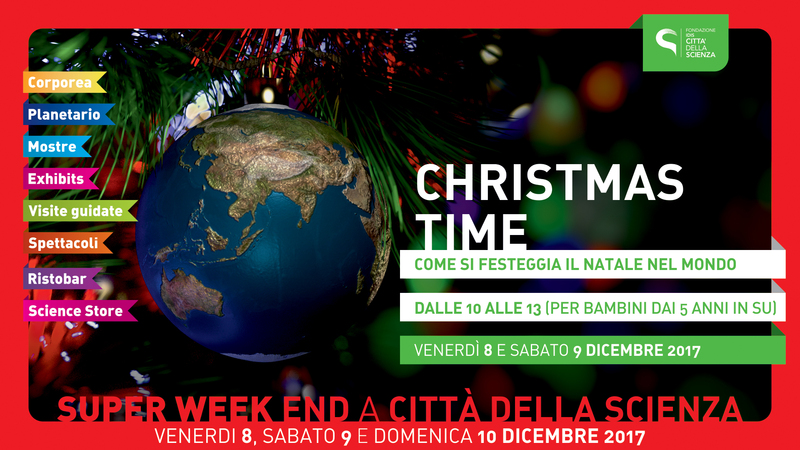 “Christmas Time” will let you jump into Christmas celebration all around the world: food curiosities and legends of many countries belonging o the Christmas period. What are you waiting for? Create and hang the flag of your favorite country to the tree! With Tinkering your creativity is limitess: “Christmas robots!” It allows you to build nice robots that design enhancing your ingenuity! And for those who have an artistic vein, try “Graffiti art … Christmas“: the thrill of “scratching” a surface to leave a mark! 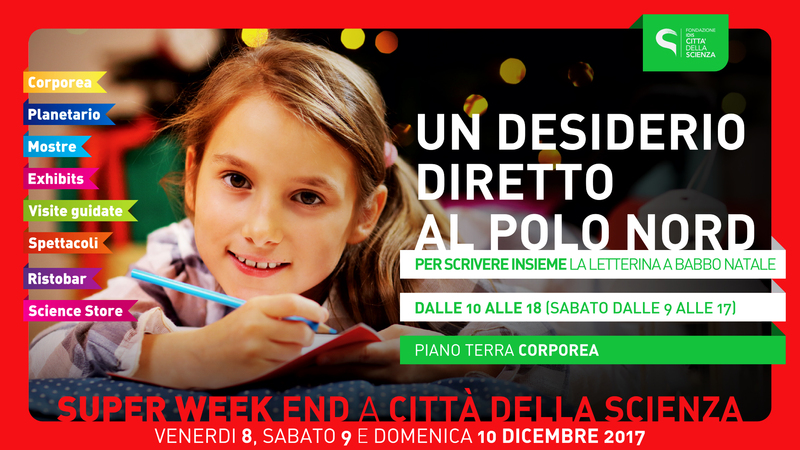 The atmosphere of Christmas, through the sounds, the lights and the magical air of the holidays opens children’s imagination and their desire to dream; writing a letter to Santa Claus in the workstation “A desire going to the North Pole“. 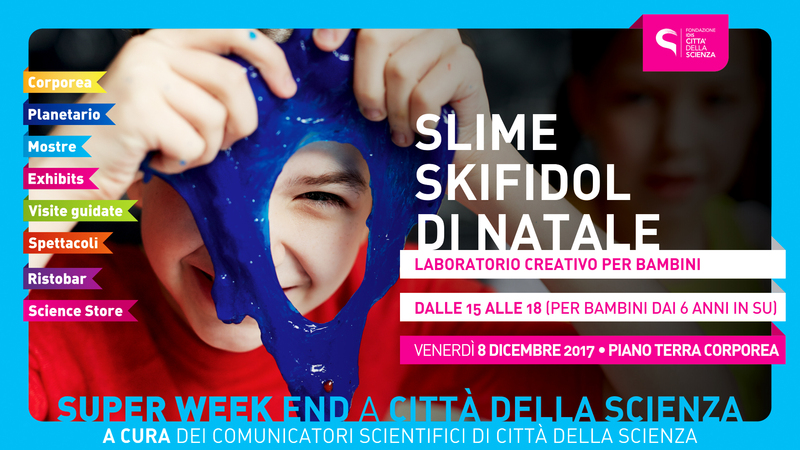 Children cannot miss “Slime Skifidol of Christmas” workshop to find out how to make a perfect slime to gift! 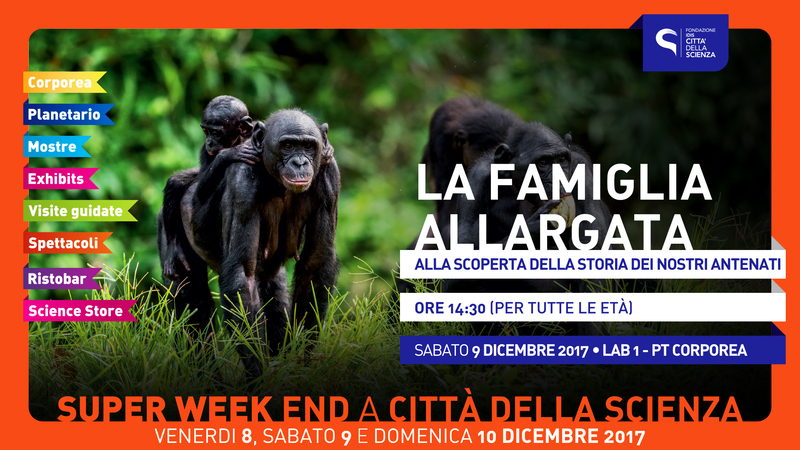 Only for Saturday, December 9th, the scientific demonstration “Extended family” will take you to the discovery of our origins, between truth and false beliefs, on monkeys and hominids. 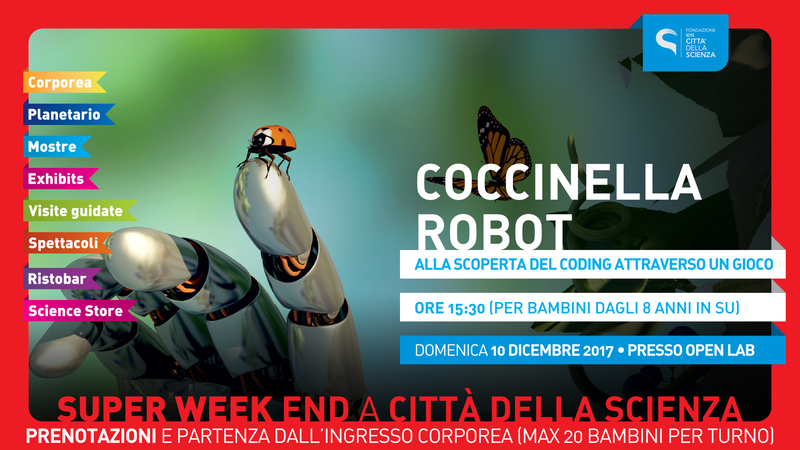 Sunday, December 10th, take the opportunity to participate in the “Coccinella robot” programming laboratory to learn programming through the game. 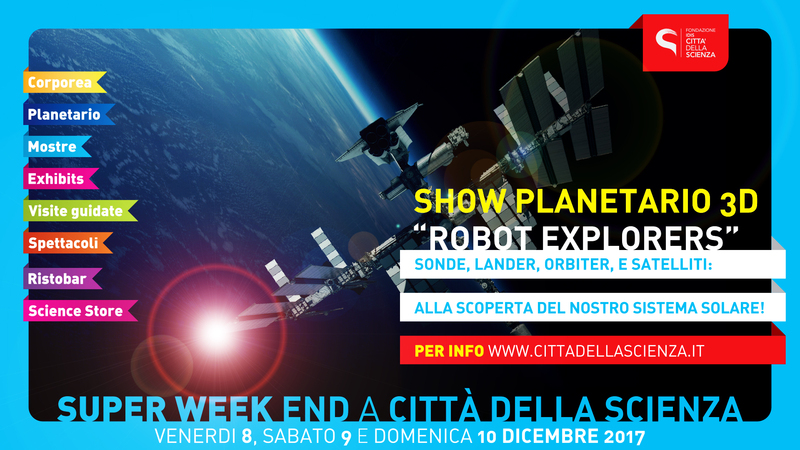 In addition to guided visits to Corporea, the first interactive museum on the Human Body in Italy, there will be “Robot Explorers” (3D) and “From Earth to the Universe” (2D) shows of the new Planetarium for a wonderful journey to discover the System Solar with probe, lander, orbiter and satellites. Last chance to discover the meaning of the four elements water, fire, earth and air for the human being. Learn from nature by the Goethe Institute Umdenken. 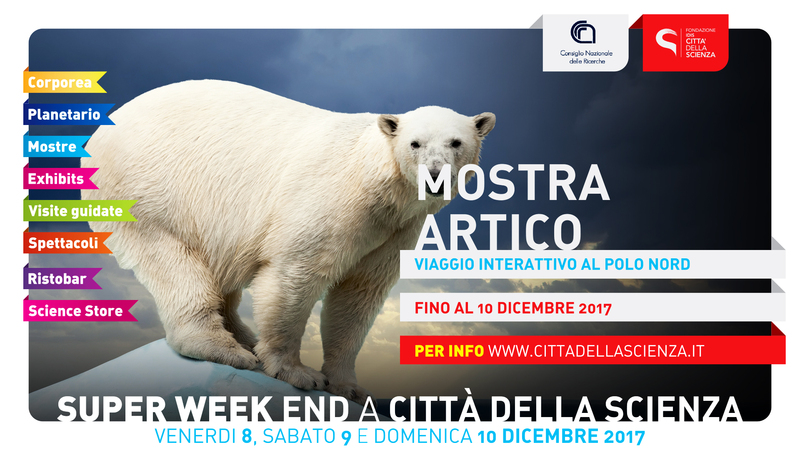 Last trip to the North Pole, with the exhibition on the Artic in collaboration with the CNR. What are you waiting for? 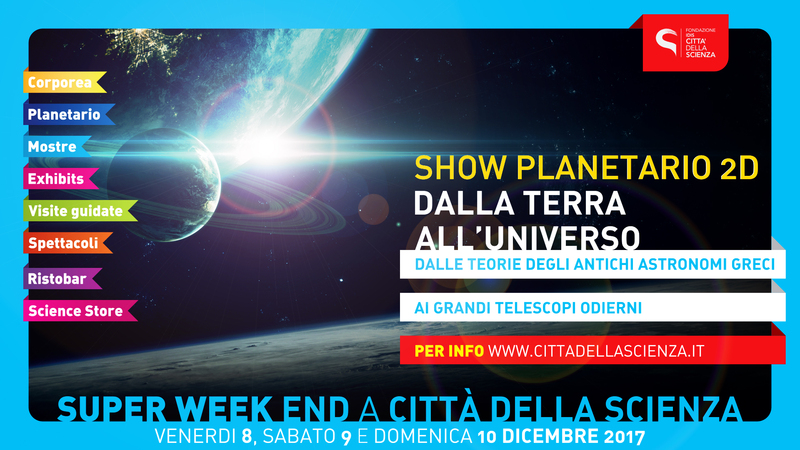 Come and discover them for the last weekend in Città della Scienza! Who lives in the new bags’ house? – guided tour of the giant Eurycnema versirubra, 27 centimeter long stick insect, the marvelous African dry leaf mantis and the African stick mantis. Information and reservations online and at the ticket office.